Honeymoon Love Nest by the Sea! !Come and enjoy this small Spanish style Casita, on over an arce of some of the most incredible land you will find in the Dominican Republic. 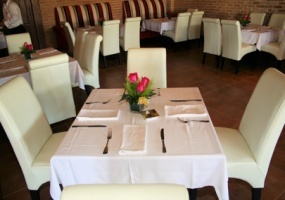 The casita has a fully equipped kitchen and dining area,and a great master suite. The oversized patio has plenty of living space including areas for dining, sitting and relaxing. Nice home in gated community with one of the best ocean views !! 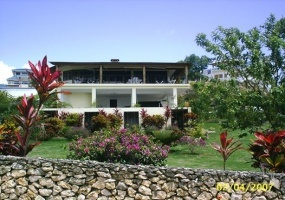 (fully furnished)This home has everything you need to live comfortably in the island, located in a private residential on the hills of Rio San Juan only 5 minutes to town and there are more than 10 tropical beaches in less than 10 minutes. 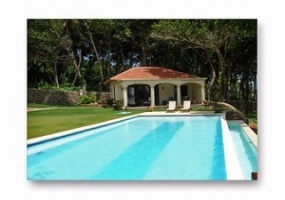 Also 10 minutes from Playa Grande Golf Course. Casablanca has everything, unique ocean view, green all around, pool, private community. Only 3 minutes from town! !This property is ideal for those who don\\\\\\\'t want to go through the building process of a new home and are looking for a great solid house at a good price. The only 5-star restaurant miles around!!! Located on Cabrera's main street. Cattle Ranch farm in perfect conditions!! This farm is ideal for the cattle business since it has very fertile grounds and it has been well kept for many years. Also it has plenty of fruit trees. Ideal land for development with ocean view very close to town!This land is ideal for a subdivision. The price is very low and the property is very close to town.